Okay, as the name suggests, these can potentially give you a tummy ache. 1 to 2 at a time is definately safe... I can get away with eating up to about 4. My mom said they were so rich, she couldn't finish eating one. So make some, and share them! If you can't find egg replacer, substitute corn starch. Note: may need to add up to a cup of liquid if it won't mix easily: Soy milk, apple juice, water, etc. I just mix it by hand without adding liquid, though I broke a wooden spoon in it once. Cream apple sauce, peanut butter, sugar, egg replacer and vanilla. Add dry ingredients. Stir in chips. Drop by Tablespoon on cookie sheet. Bake 375 degrees 9 to 11 minutes. Let cool before removing from the cookie sheet. Cream apple sauce, peanut butter, sugar, egg replacer and vanilla. Add dry ingredients. Stir in chips. 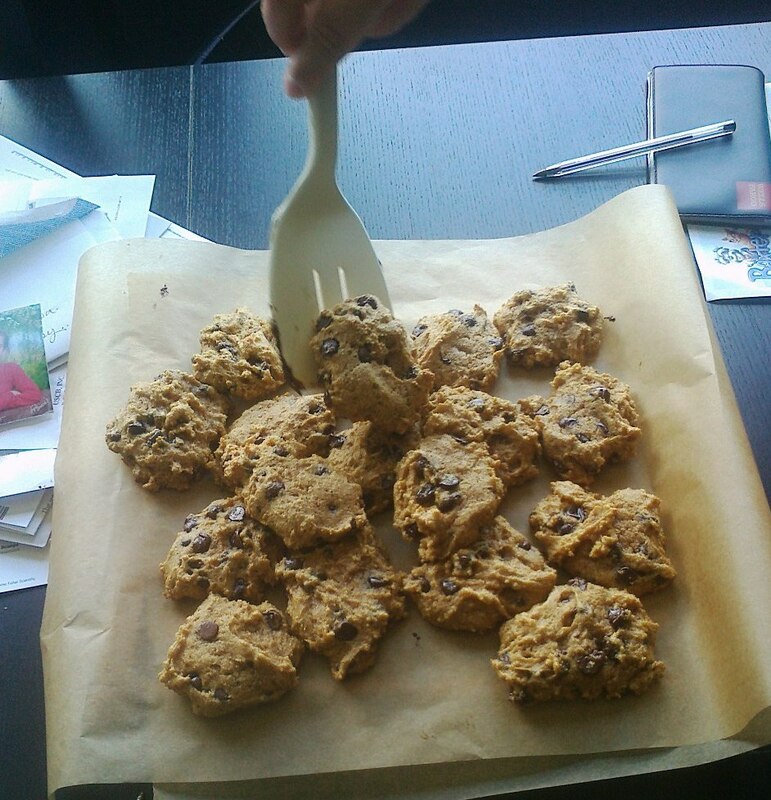 Drop by 15 ml spoon on cookie sheet. Bake 190 degrees C, 9 to 11 minutes. Let cool before removing from the cookie sheet.